US President Barack Obama announces the launch of the ‘Power Africa’ initiative. Launched by President Barack Obama in Cape Town one year ago, the Power Africa initiative has been making bold claims about its early successes in a campaign to boost Sub-Saharan Africa’s (SSA) installed generation capacity by some 10GW and connect some 20m more homes and businesses to the grid by 2020. Power Africa claims it will make some $7bn available in financial support and loan guarantees from 12 government agencies, led by the Export-Import Bank of the United States (Ex-Im Bank), Overseas Private Sector Investment Corporation and US Trade and Development Agency (TDA). It aims to “˜de-risk’ projects, to facilitate the inflow of some $15bn in private sector investment into an initial six target countries – Kenya, Tanzania, Ethiopia, Nigeria, Liberia and Ghana – although US officials emphasise that all of SSA is equally open to receiving support. Obama’s initiative is focused on accelerating the development of clean energy sources and adoption of energy-efficient technologies (like the Africa-EU Energy Partnership). Through its Beyond the Grid programme, Power Africa seeks to facilitate investment in off-grid and small-scale power projects. US officials seem genuinely energised by their agencies’ involvement in Power Africa – gaining momentum from Obama’s global appeal and the pressure he can exert on government to unpack resources. Power Africa is seen by analysts as probably the only big African element potentially gilding in Obama’s fast-looming “˜legacy’. Among recent highlights was the 3-4 June US-Africa Energy Ministerial meeting, chaired by Department of Energy secretary Ernest Moniz in Addis Ababa, and attended by 350 business leaders and government officials, including more than 30 African energy ministers. Power Africa was prominent at big industry events such as Spintelligent’s mid-May Africa Utility Week in Cape Town and EnergyNet’s 2014 Africa Energy Forum, held on 18-20 June in Istanbul. US critics question its ability to meet targets within its five-year time frame. Others fear its main impact could be to help General Electric and US Inc.’s other heavy hitters to muscle out rivals for bankable projects. (American critics, such as APR Energy chief operating officer Brian Rich, say even this is unlikely given bureaucratic, financial and other constraints in tapping Power Africa support). Only a small percentage of Power Africa’s headline numbers is likely to come from direct financing. “We are not a bucket of money”, commented a senior diplomat based on the continent. Power Africa is about leveraging support, by mitigating risk, encouraging private investment and unravelling the many blockages that have long stopped a majority of projects from going ahead. 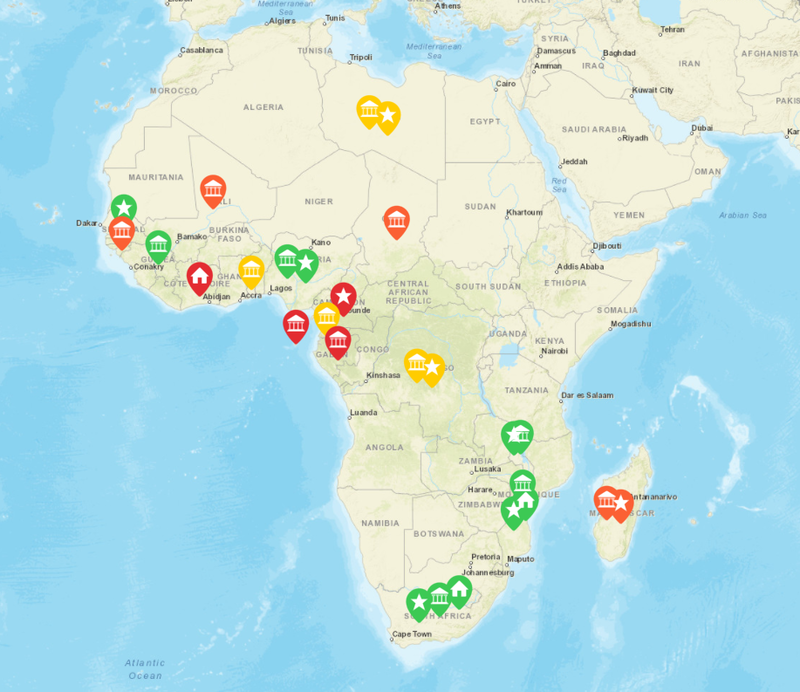 The appointment of US-funded “˜transaction advisors’ to key positions in ministries, power pools and other strategic positions, coupled with targeted early stage financing, reflect an accurate analysis of the weak points that have held back developments in generation, transmission and distribution across SSA. Power Africa is supporting subtle transformative impacts – working “to confront the need to overcome stickiness in the system”, as the diplomat put it. Transaction advisors like Eric Olo in Nigeria (who is also chief commercial officer of investor North South Power) have undoubted financial expertise, to champion projects and unravel difficulties. This strengthens the support offered by TDA, which provides technical assistance and financial support for pre-feasibility studies – in the process giving projects an American flavour (and specifications) from the start. A range of stakeholders canvassed by African Energy welcomed moves such as putting embedded advisors into the Southern African Power Pool and its East and West African counterparts, “to work through the issues”. With the African Union pushing for its Programme for Infrastructure Development in Africa of slow-moving big ticket projects, Power Africa’s commitment to helping “˜transformational projects’ should win friends in high places. Consequently, the non-US (usually lead) partners in several high profile Power Africa schemes have told African Energy they can accept US grandstanding if it forces open doors to build SSA’s missing infrastructure. This is a View article from the African Energy newsletter, a source of independent analysis on the continent’s energy industries produced by Cross-border Information, a business intelligence company with a long established research focus on the politics, energy and financial sector trends of Africa and the Middle East.